For a long time now, I've been using plastic cutting boards in my kitchen. I've been wanting to add a wooden cutting board to my kitchen for a while now but wasn't sure exactly what I wanted. 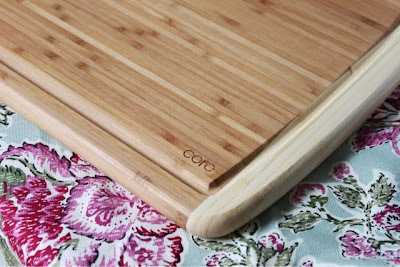 When I got the opportunity to review a product by Core Bamboo, I knew that it had to be a cutting board. The cutting board I received is the Peony Medium Bamboo Cutting Board. As you can see, it's beautiful. I love the two-toned wood and the Core logo in the corner. It has worked well for me and I recently used it to cut up six red onions for a recipe I was testing. It did not stain and cleaned up easily. 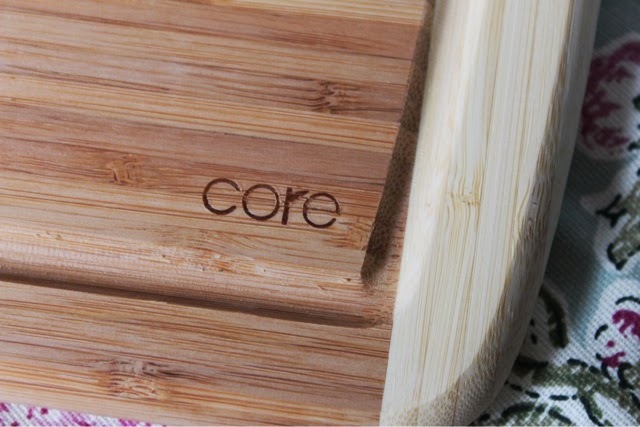 The Core Bamboo web site states that the cutting boards are made from 100% organically grown bamboo and are built to last for years to come. I do plan to keep this in my collection for years to come. Think of a quality cutting board as an investment in your cooking future. 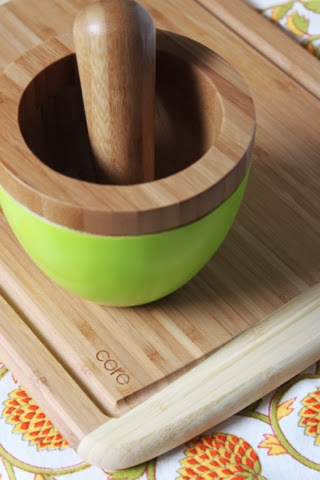 While I did receive my cutting board directly from Core Bamboo, I have started looking for their products while I'm out shopping since I have been so impressed with the cutting board. 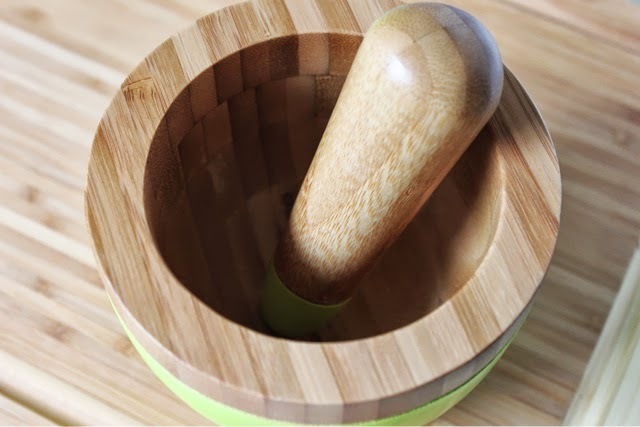 I recently purchased this mortar and pestle in the festive shade of lime green. Isn't this a work of art? My husband loves to grind spices. I found this set at HomeGoods. On my last trip to T.J. Maxx, I found this set of utensils in the same lime color and added those to my collection, too. Core Bamboo is definitely a brand that I will be seeking out in the future. There are colorful pieces to brighten up your kitchen and make you just feel happy to be cooking. They are durable enough to be considered lifetime investments. Disclaimer: The company provided me with the product to review; however, the opinion expressed here is my own.